Hey, welcome aboard, and THANK YOU for visiting the On2In2™ website. Things are just getting started around here, and it’s exciting. The goal of On2In2™ is to be your primary source for discovery and sharing of hobby, sport and recreation information and inspiration. So, we’ve loaded up this website with multimedia content featuring pathfinders and playmakers as well as interactive and collaborative social media and shopping tools. Wondering where to begin? → FIRST STEP—BROWSE, Baby. Find Some Fun! 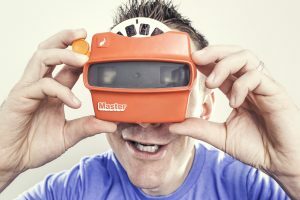 as well as dozens of specific sub-categories (e.g., Video, Live Streaming, Visual Arts, Gastronomy), and each shows up as a tab in the main menu located at the top of the screen. • Click/Tap on one of the category or subcategory tabs in the main menu, and a great looking dropdown will appear showing all the articles and media related to that specific topic of interest. For example: If you’re In2 sports, find all sports-related articles by clicking/tapping the “Challenge” category in the main menu. If you want to view all things about a specific type sport activity, Challenge has sub-categories to help locate a special sporting interest (e.g., Water, Snow & Ice, Exploration) as well as action-packed video channels to watch free on demand (e.g. Watch: High Flying and Watch: Underwater Discoveries). Also, look for live streaming of sport events with a click/tap of the “Live Streaming” subcategory under “Media Mix”. • Then, START clicking, swiping and tapping on anything and everything, and you’re on your way to finding fun. → EXPLORE For a unique mega search, try the super cool [  Explore ] feature at top (above main menu). When clicked, a dropdown appears with a “Search” box feature (type in your topic of interest) and buttons for all the subject categories, tags and archives (click/tap on any button), allowing you to search the entire On2In2™ website for articles using search terms as well as select targeted topics of interest and archived posts. → ENGAGE It’s just not as much fun without friends to share in the experience. The “Engage” tab at top (above main menu) takes you to the On2In2™ social spot, where you can connect, collaborate, share know-how and exchange ideas with people who share similar interests in hobby, sport and recreation. 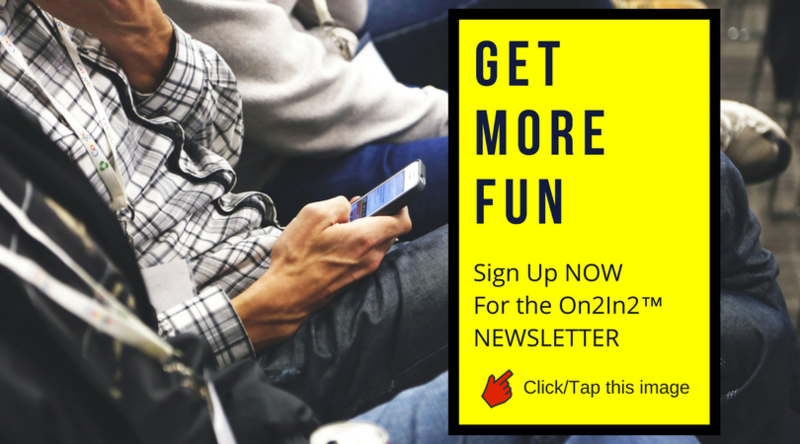 Join in the conversations by registering (here), and start mingling, and don’t forget to sign up for the On2In2™ newsletter so that you can be in the know about all the goings on. → SHOP There’s an online store (“Gear & Gizmos) on the “Shop Here” page. It’s the place to find specially selected On2In2™ lifestyle offerings you can use for fun and gifts. Find it at the “Shop” tab at top (above main menu). Also, a click/tpa on the green “Open” sign at the bottom of the screen, will take you to the same shopping page.